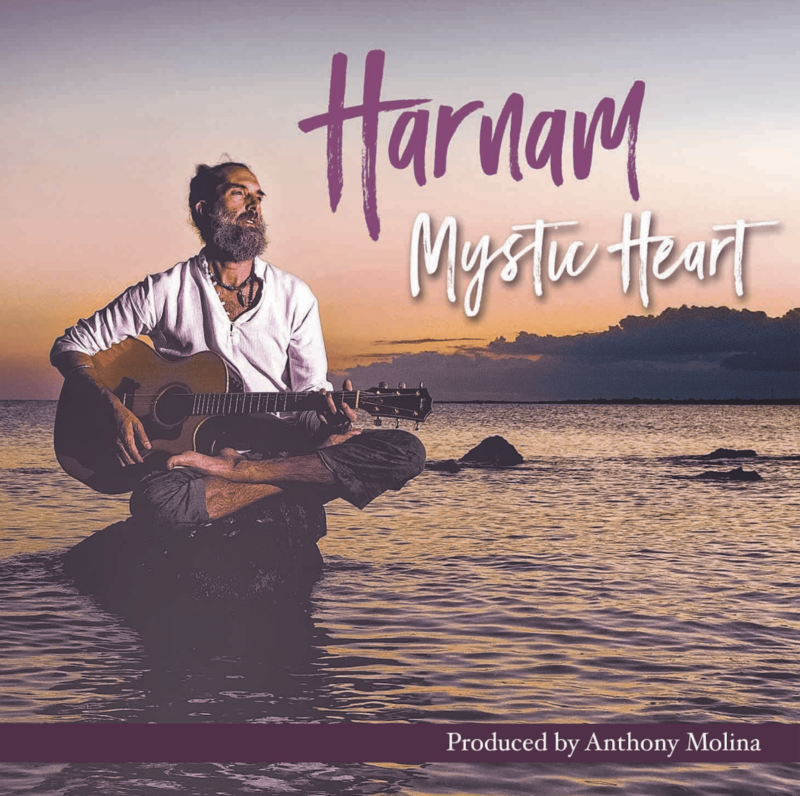 Mystic Heart is a sonic journey in song & mantra that ventures into uncharted waters of healing and expansion. 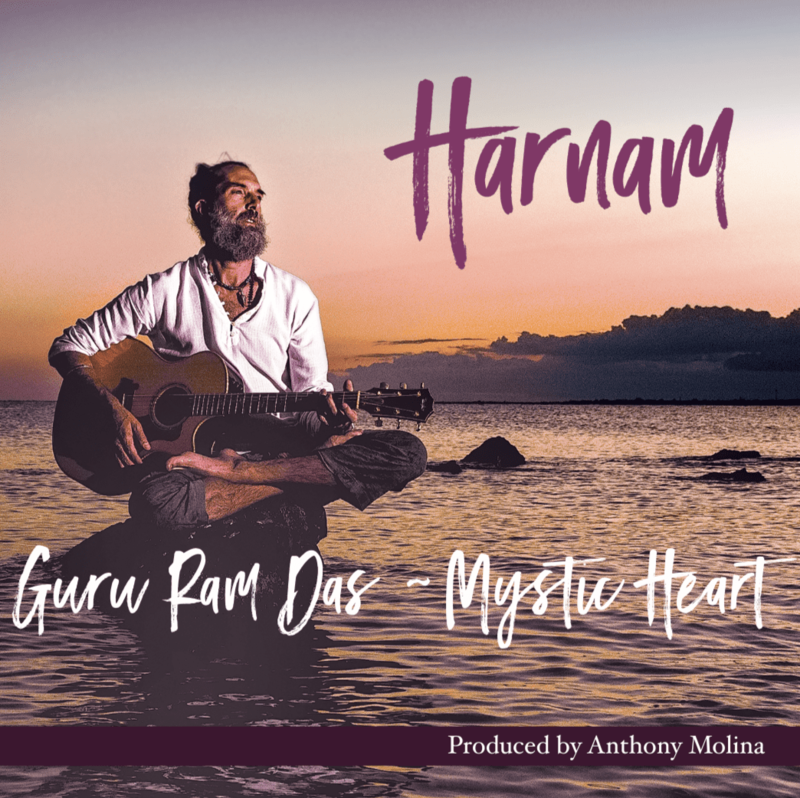 Harnam in collaboration with producer Anthony Molina (Simrit, Crown of Eternity, & Mercury Rev) have created a wide-open musical heart-space for the listener. There is a very authentic quality to this music where the love and joy is palpable. 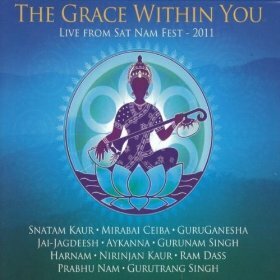 Each track is unique and compelling, with a specific purpose: Guru Ram Das– A sacred prayer for wisdom and miracles. 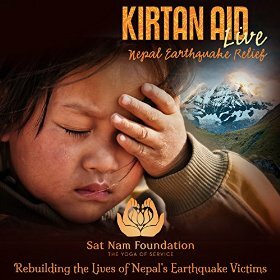 Sat Nam (I am)– A celebration of of the truth and beauty of every soul. Speed of Love– An invocation of grace and light on our journey through the world. Love is Love– A powerful and joyous meditation on our divine essence. Heal Me (Ra Ma Da Sa)– A sonic space for healing with a profound mantra to reveal our original self – perfect, whole and complete. Wah Yantee– A mantra of creativity and wonder of the divine given by the great yoga master Patanjali. 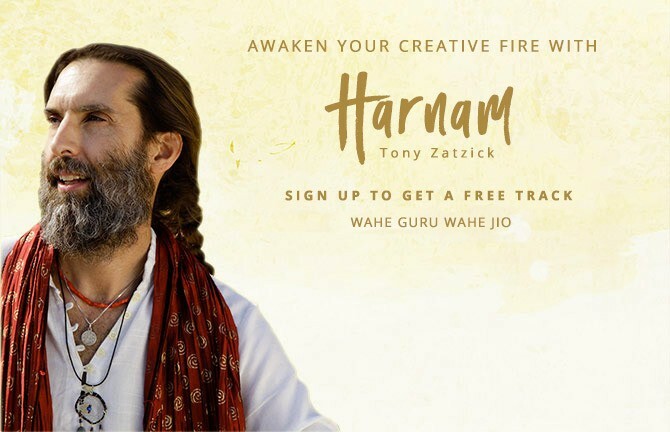 Akaal / May the Circle be Unbroken – A tribute to Harnam’s father and Anthony’s grandmother who both passed from this world in 2018; it is a chant that invokes the undying aspects of our being, celebrating our timeless connection to one another. This album also features some amazing musicians including Steve Gorn on flute, Tripp Dudley on Percussion, and gospel vocals from Ivonne Williams. 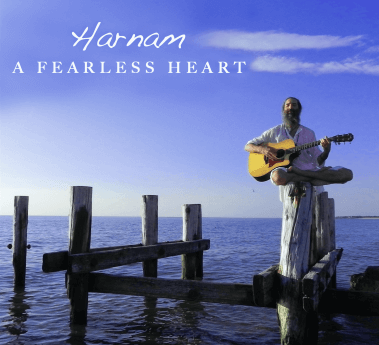 This inspiring new single from Harnam has a dream like quality to it. There is also a grandness to the sound as it swells gently like a wave in the distance, moving forward with a compelling grace and fluidity. 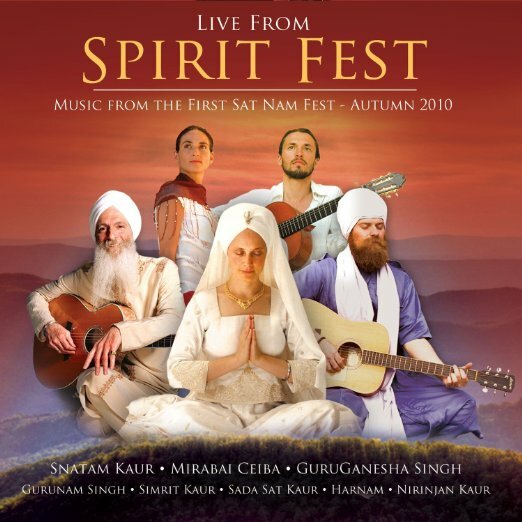 The vocals have an otherworldly quality to them and convey the heart-opening magic of the beloved Guru Ram Das mantra. The track features the musical stylings of Producer, Anthony Molina who is well know for his work with Simrit and the innovative Rock band Mercury Rev. This is an exciting taste of things to come from Harnam and represents a dynamic new direction with his music. 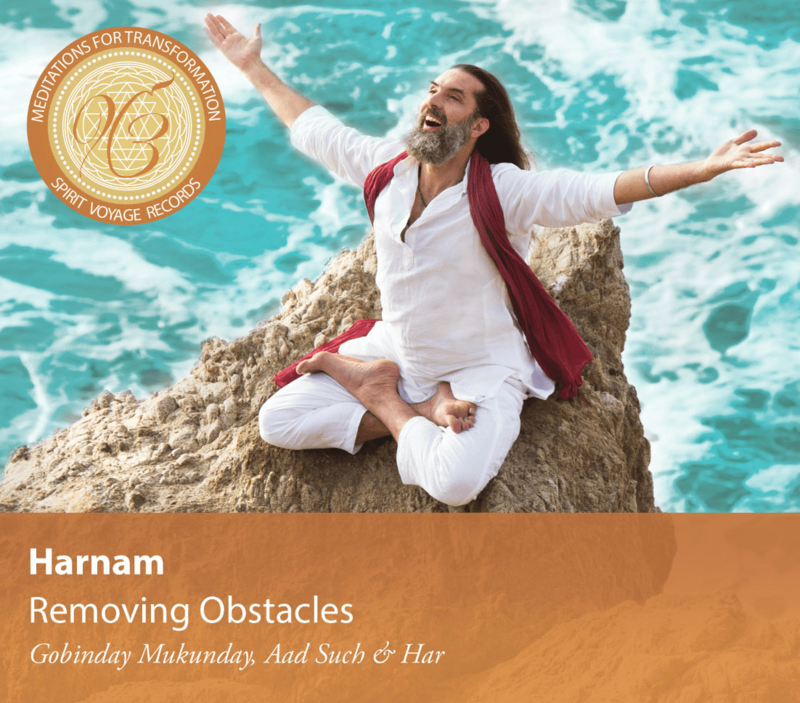 Removing Obstacles: Meditations For Transformation features three meditations from Kundalini Yoga as taught by Yogi Bhajan®. Each meditation will help clear a specific type of block from your life by bringing clarity, providing guidance, and giving you the power to the remove obstacles that stand in your way. These mantras and meditations work deeply on the subconscious level to restore your connection to your own creative source to help you move forward in this life.Practice them together in sequence, or one at a time. For a deep and lasting shift in consciousness, choose the meditation that resonates with you most deeply and practice it for 40 days. You won’t believe the difference a daily practice can make in your life as you remove obstacles and embrace your destiny. Awakening Your Creative Fire: Meditations For Transformation features three Kundalini Yoga meditations as taught by Yogi Bhajan. Each meditation will ignite a specific aspect of your creativity; providing guidance, bringing clarity, and giving you the power to remove obstacles as you manifest your vision. These mantras and meditations work deeply on the subconscious level to restore your connection to your own creative source so that nothing can stand in the way of you living a creative, fulfilling life. Practice them together in sequence or one at a time. For a deep and lasting shift in consciousness, choose the meditation that resonates with you most deeply and practice it for 40 days. You won’t believe the difference a daily practice can make in your world and your creativity! 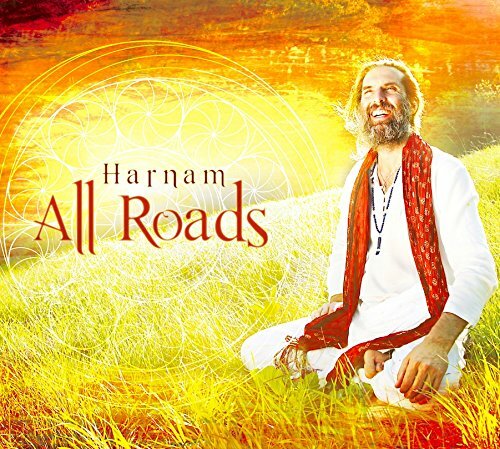 All Roads is a soulful musical journey featuring Kundalini mantra and uplifting English lyrics. 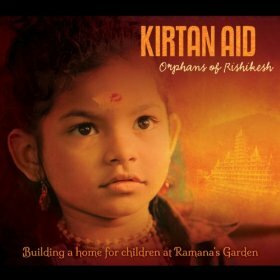 It is a perfect blend of meditative chant and melodic grooves. 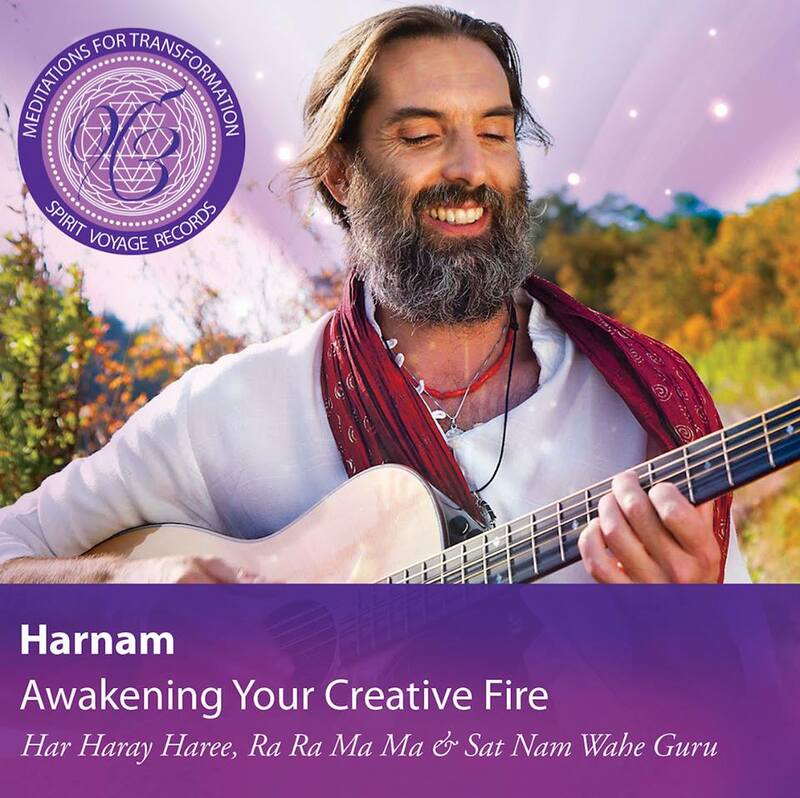 Harnam’s inspired musicianship is accompanied by luminaries Simrit, Benjy Wertheimer (Shantala), and others. Just right for a yoga class, relaxation or getting down the road. Produced by Daryn Roven.